It’s set to be a straight contest between the ruling Left Front and the Congress-led alliance on 18 of the 20 seats, but the BJP could play spoilsport on two. As Kerala prepares to vote on April 23, the general election is shaping up to be a straight fight between the ruling Left Democratic Front, led by the Communist Party of India (Marxist), and the Congress-led United Democratic Front. They will battle it out in 18 of the state’s 20 Lok Sabha seats. In only Thiruvananthapuram and Pathanamthitta is there expected to be a serious three-way contest, with the Bharatiya Janata Party likely to gain a section of the Hindu vote in the wake of its agitation against the Supreme Court’s ruling allowing menstruating-age women to enter the Sabarimala temple. The Left Front hit the campaign trail early, declaring its candidates on March 6, four days before the Election Commission of India announced the polling dates. The ruling coalition has given 16 seats to the Communist Party of India (Marxist) and four to the Communist Party of India. Its other partners such as the Janata Dal (Secular) and the Loktantrik Janata Dal are not in the fray. Mainly because of infighting, the Congress took another 10 days to finalise its 16 nominees. The party has left the other four seats for its allies, two for the Indian Union Muslim League and one each for the Revolutionary Socialist Party and the Kerala Congress (Mani). This means the Congress and the CPI(M) are going head to head in 12 constituencies. The National Democratic Alliance, led by the BJP, has been struggling to pick its candidates as several senior leaders have staked claims to each of the few seats where the party is expected to do reasonably well. The BJP central leadership on Thursday announced candidates for 19 seats, except Pathanamthitta, where the Sabarimala temple is situated. The saffron party fielded former Mizoram Governor Kummanam Rajasekharan from Thiruvananthapuram. It gave four seats to its partner, the Bharath Dharma Jana Sena. Though the coalition is a serious contender in only two seats, its performance could influence the outcomes in Kasargod, Palakkad, Thrissur, Alappuzha and Kottayam. While the United Democratic Front is looking to repeat its showing in 2014, when it won 12 seats, the Left Front is seeking to continue its winning momentum from the 2016 Assembly election. 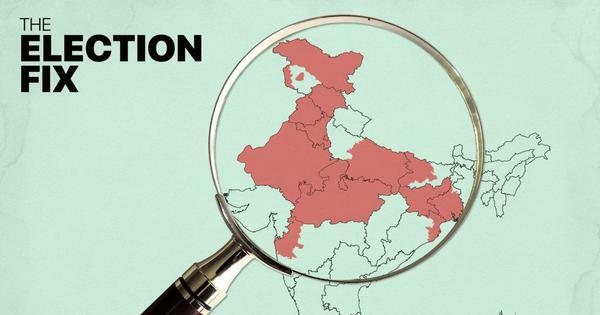 Here are six constituencies to watch out for in this election. 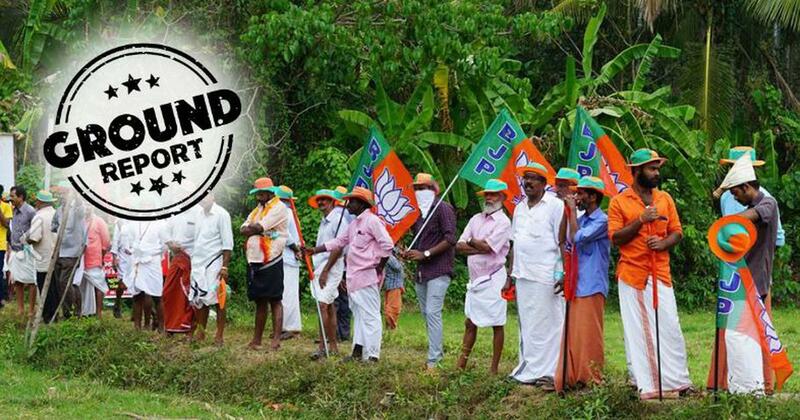 The North Kerala constituency is the epicentre of political violence in the state. Here, sitting MP PK Sreemathi of the CPI(M) is again pitted against the Congress’s K Sudhakaran. In the previous election, Sreemathi took 45% of the votes, while Sudhakaran polled 44.4%. The BJP collected just 5.4% of the vote. The Congress has made the murders of Youth Congress workers Kripersh and Sarath Lal in neighbouring Kasargod on February 18 and SP Shuhaib in Mattannur, Kannur, in early 2018 as a major campaign issue. The murders were carried out by suspected CPI(M) workers. The communists claim they have lost more workers to political violence in Kannur than any other party, so the Congress has no moral right to rake up the issue. Since Pinarayi Vijayan became chief minister in May 2016, Kannur has witnessed at least 12 political murders. P Jayarajan of the CPI(M) was expected to sail through after the Congress’s sitting MP Mullappally Ramachandran decided against seeking another term. But the Opposition party’s decision to field former state minister K Muraleedharan has made this a close contest, as it was the last time. In 2014, the Congress won with 43.41% of the vote; the CPI(M) garnered 43.07%. The grand old party had won this seat in 2009 as well. As in Kannur, political violence is a key campaign issue. The constituency saw one of Kerala’s most gruesome murders in May 2012, when TP Chandrasekharan, who had left the CPI(M) to start the Revolutionary Marxist Party of India, was hacked to death in Onchiyam village. Three CPI(M) leaders were among the dozen persons convicted of the murder. Chandrasekharan’s party, which has a considerable presence in Vadakara, is backing the Congress. The CPI(M) has brought in its legislator and star campaigner A Pradeep Kumar to stop the Congress’s MK Raghavan from winning a third straight term. While the Congress’s campaign pitch is that it is seeking to oust the Narendra Modi government, the CPI(M) is emphasising the state government’s achievements in the last three years. Raghavan narrowly defeated PA Muhammed Riyas of the CPI(M) by 838 votes in 2009 but increased his victory margin to 16,883 votes in 2014. He took 42.2% of the vote as against 40.4% for the CPI(M)’s A Vijayaraghavan. This time, the Left Front is working to build on its success in 2016, when it polled 45% of the total vote in the seven Assembly segments that constitute Kozhikode Lok Sabha constituency and the Congress’s vote share dropped to 36.3%. The Congress and the Communist Party of India have won this Central Kerala seat by turns since 1999. The Congress prevailed in 1999 and 2009, and the communist party in 2004 and 2014. This time, the Congress has fielded its district president TN Pratapan while the Communist Party of India has picked its legislator Rajaji Mathew Thomas. The National Democratic Alliance has allotted the seat to the Bharath Dharma Jana Sena, which claims to enjoy the support of the backward Hindu Ezhavas. The community has traditionally backed the communists, so how well the Sena does may determine whether the seat goes to the Left Front or the Congress. The Left Front won 42.3% of the vote in 2014 while the Congress took 38.1% and the National Democratic Alliance 11.2%. The Aam Admi Party garnered 44,638 votes as well but the party has decided against contesting in Kerala this time, saying it does not want to split the anti-BJP vote. Pathanamthitta is set for a three-cornered fight with the BJP in the mix alongside the Congress and the CPI(M). The Congress has fielded the incumbent Anto Antony, while the CPI(M) has nominated its legislator from Aranmula Veena George. The BJP is yet to declare its candidate. According to news reports, several senior leaders, including the party’s state chief PS Sreedharan Pillai, are demanding the ticket. 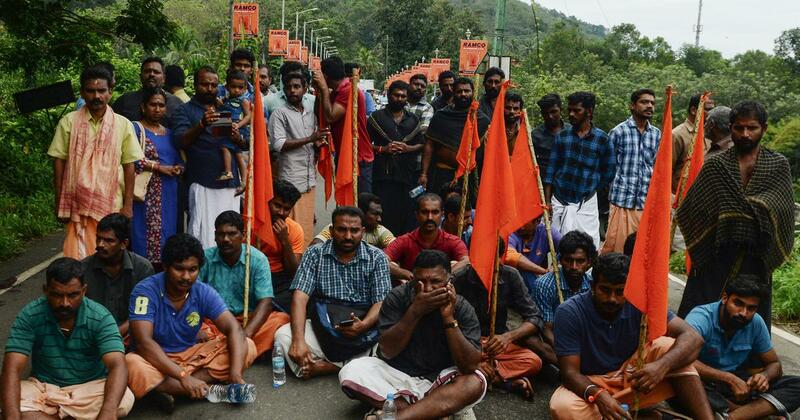 The Hindutva party is reportedly planning to highlight the Sangh Parivar’s agitation against the entry of women into the Sabarimala temple to woo Hindu voters. To win though, the party will have to significantly increase its vote share from 16% in 2014, when the Congress won with 41% of the vote and the Left Front stood second with 34.7%. The state capital will also witness a three-way contest, with the sitting MP Shashi Tharoor of the Congress pitted against the BJP’s Rajasekharan and the Communist Party of India’s C Divakaran. While Tharoor is looking to win a third consecutive term, Rajasekharan is hoping to become the BJP’s first MP ever from Kerala. Divakaran’s challenge is to overcome his party’s worst performance ever in the constituency in 2014. Thiruvananthapuram is the only Kerala constituency where the BJP finished second in 2014. Tharoor faced many anxious moments before romping home by a margin of 15,470 votes against the BJP’s O Rajagopal. Bennett Abraham of the Communist Party of India finished third. In all, the Congress got 34% of the vote, BJP 32.3% and the Communist Party of India 28.5%. The BJP’s vote share across the constituency, however, dropped to 27.22% in the 2016 Assembly election. The United Democratic Front garnered 32% of the vote, while the Left Front improved its vote share to 38.2%. As in Pathanamthitta, the Sabarimala row is a major campaign issue in the capital, something the BJP is hoping will work to its advantage.